The Home Ministry has projected a budgetary requirement of more than Rs 3,50,000 crore for internal security, mordernisation of police forces and other related responsibilities during 2020-25. 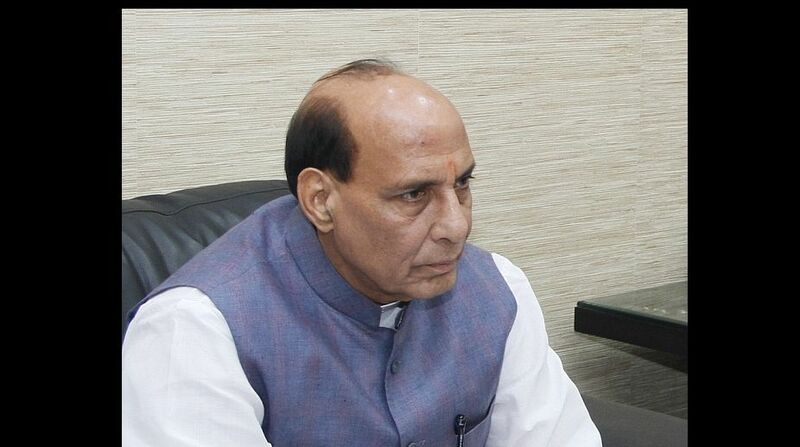 This was conveyed by Home Minister Rajnath Singh to Chairman of the 15th Finance Commission N K Singh here recently, officials said on Sunday. The ministry has projected budgetary requirement of more than Rs 3,50,000 crore for the period 2020-2025 for internal security, central armed police forces, police modernisation, border security, disaster management and Union Territories, a ministry official said. A detailed memorandum will be submitted to the Finance Commission later. A presentation was made during the meeting which stressed that the responsibilities of the Home Ministry have increased manifold that include diverse and varied internal security challenges, even though public order and police are constitutional responsibilities of state governments. The capabilities of states alone are not adequate to meet the threats of insurgency and terrorism which have national and international links, the official said. The Home Minister has pointed out that his ministry also has other challenges that include improving sense of security amongst the public, making vulnerable sections such as women and children safer, improving effectiveness of police, meeting cyber threats, providing immediate relief and rehabilitation during natural disasters etc. He said due to concerted and coordinated efforts of the central government and the state governments, there has been a significant and steady improvement in the overall security situation in the hinterland, in the Northeastern states and in the areas affected by Left-Wing Extremism. The Home Minister said relentless efforts are needed to be made continuously in order to consolidate the gains and spread successes in the new areas. The Finance Commission was briefed about the various schemes being implemented by the Home Ministry, which require continued capital expenditure such as modernisation of police forces, Crime and Criminal Tracking Network and Systems (CCTNS), immigration, visa, Foreigners Registration and Tracking (IVFRT), coastal security, border infrastructure, integrated check posts, another official said. The commission was conveyed that further capital investment is also required to make appropriate use of new technologies for cybersecurity, border management etc, the official said.